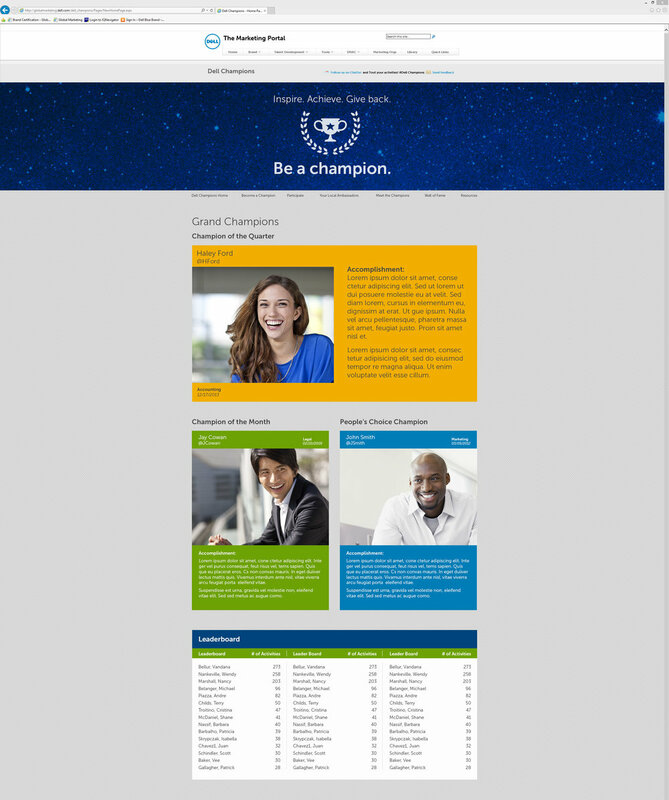 Dell Champions are employees that have taken up the task of becoming brand ambassadors. They work internationally as brand advocates to spread the word on the things Dell does as a company. 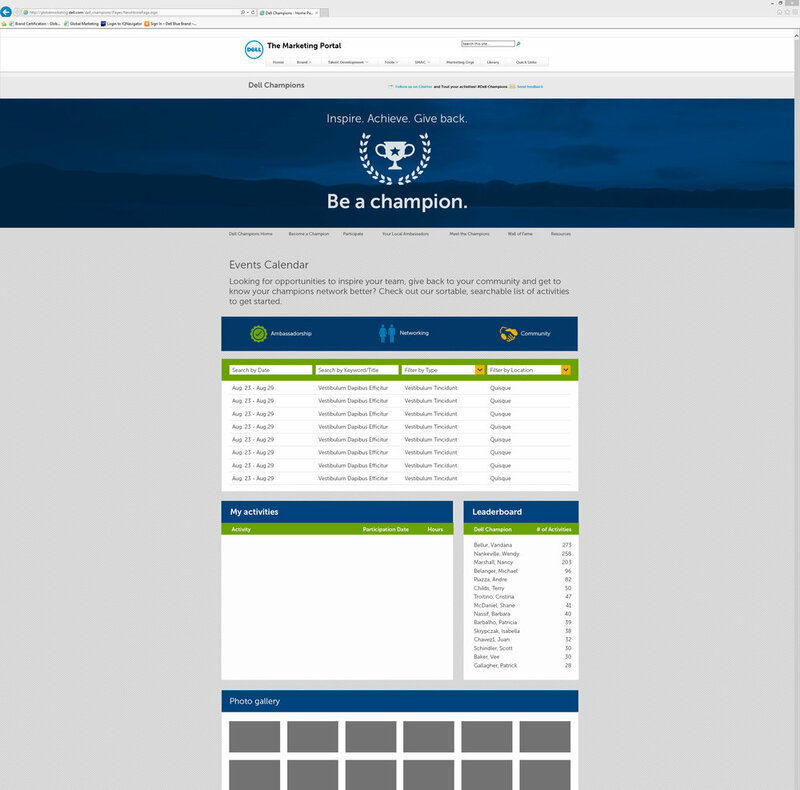 This site is accessible to all employees on the internal network to give those who are Champions a place to come to track events and hours participated among other things. It also serves as an introduction to would be members by providing a place to meet existing Champions and giving them a chance to apply to become a Champion themselves. We were tasked with redesigning the existing site to something easier to navigate and more welcoming to employees. The original site had two landing pages. Both drastically disorganized and outdated. The internal pages were confusing and had some redundant content. 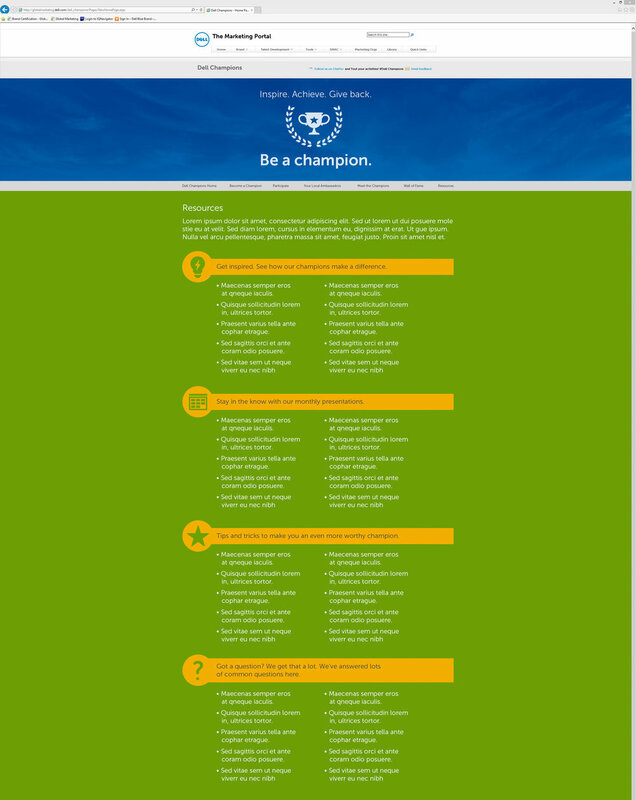 I took the opportunity to create a site with bold color and imagery focused on the Champions. Who better to showcase visually than the people who are advocating for the company. I decided to take things one step further by creating an app version of the site. I chose an app over just creating a mobile version of the site because the original site is internal facing for all employees. The app would be meant as a centralized and easily accessible place for existing Champions to track their participation hours, schedule events and network among other things.